I have a ton of music stored on my iPhone (at least 50GB). Sometimes I like to easily play music in the background if I'm cooking, folding laundry, or just relaxing at home. 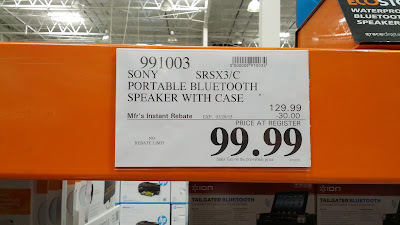 The Sony SRS-X3 Portable Bluetooth Speaker allows me to do just that without having to transfer music over to my computer and vice-versa. Remember those decks (tuner, cd player, tape deck, etc) of audio equipment including those large speakers that used to take up a whole lot of space in your living room? 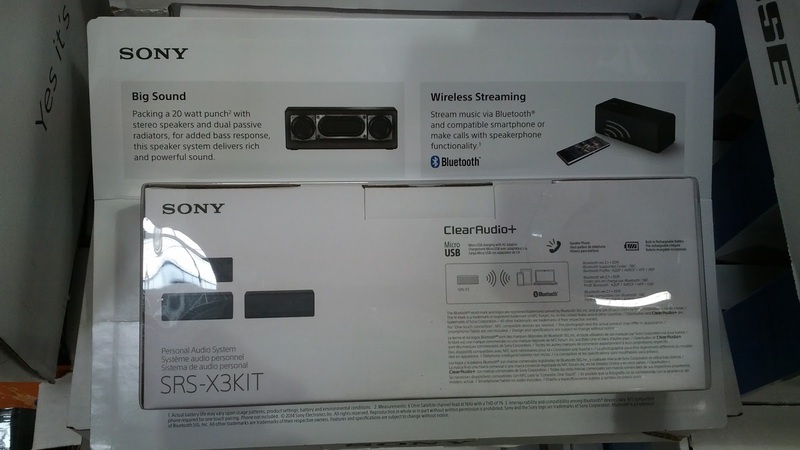 Yes, you no longer need a huge sound system that we used to have in the 80s when the Sony SRS-X3 Speaker can do everything your 80s stereo can do but more. It takes up considerably less space and the sound is so clear that you don't need to spend a whole lot of money on stereo equipment. What's even better is that it's portable, so I can take it to any room in the house or even to the beach or with me when I go camping since it connects to my smartphone wirelessly using Bluetooth. The speaker is then able to play all your songs and pre-made playlists. You may even want to check out the Bose portable speaker which is similar to this. 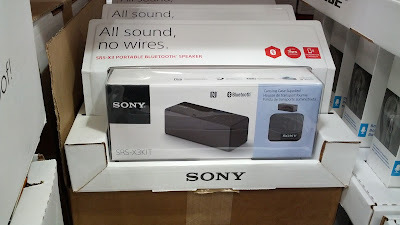 Play your music wirelessly from your smartphone using the Sony SRS-X3 Bluetooth Speaker. Sony SRS-X3 kit comes with speaker and carrying case. Packing a 20 watt punch with stereo speakers and dual passive radiators, for added bass response, the speaker system delivers rich and powerful sound. Stream music via Bluetooth and compatible smartphone or make calls with speakerphone functionality.